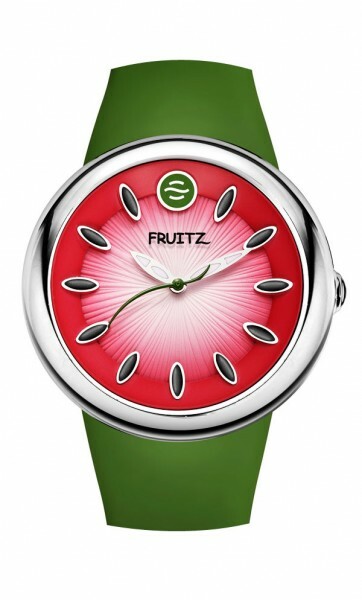 The team at BuzzAboutWatches has nominated the Fruitz Watermelon Watch as the Coolest Holiday Watch 2011. The colors – a gorgeous green strap and faded red dial will make you smile every time you put this cool piece on. The Natural Frequency Technology embedded in the watch will keep you cool and calm this holiday season, which could get stressful with all that family around! Also perfect for keeping you relaxed during stressful flights, and prevent jet lag if you’re flying far. They are super comfortable to wear. 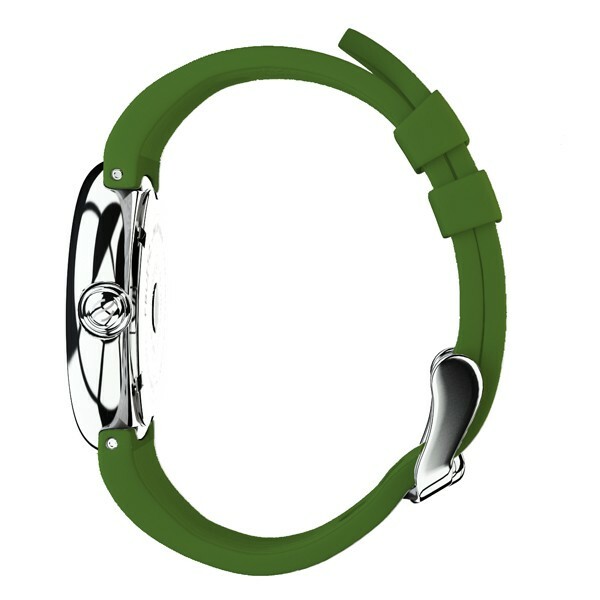 The silicon strap and stainless steel case feel cool on your wrist – no need to worry about sweating it up in this watch. This is not the first time that the Fruitz Watermelon has received a nomination of this type. Globes identified the Fruitz watermelon as the 2011 Summer watch, and JP featured this fun watch for summer beach fashion this year as well. Last year, in June 2010, ABC also showcased the Watermelon Fruitz (see below). So congratulations to Fruitz watches, and Happy Holidays 2011 to you all! A sleek watch, perfect for this holiday season! I am past 65 years old and I love my Fruitz watch. It’s orange! I get compliments on the beauty of the Fruitz watch all the time.